Multiple well-defined nodules in lung parenchyma that are well-defined, some contain calcifications, some tiny fibrous whiskers. Nodules that are located in subpleural parenchyma form so-called pseudoplaques. 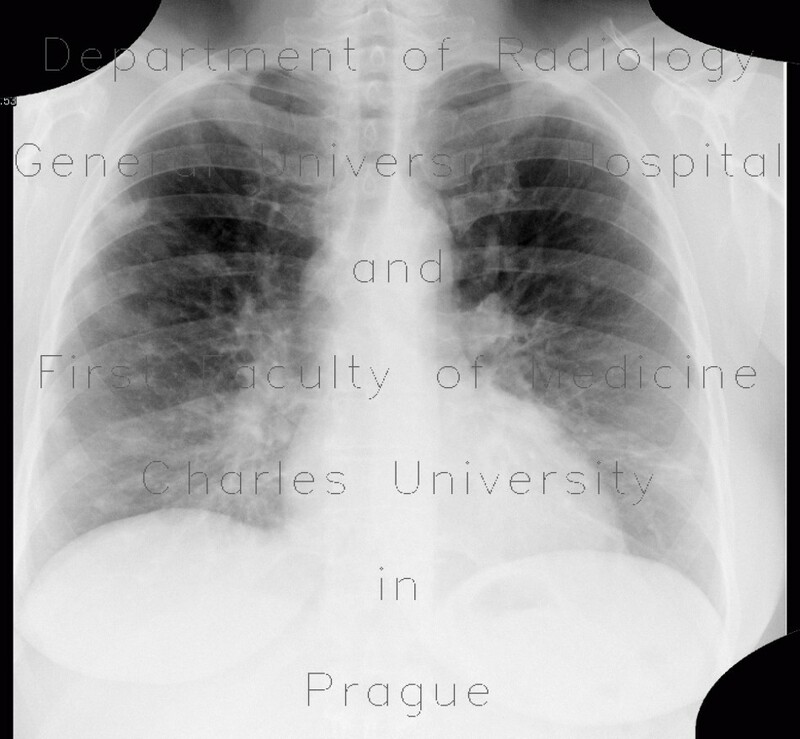 These are not true pleural plaques. Note also calcified lymphatic nodes in the mediastinum.